There is an old English proverb, “Prevention is better than cure”. This makes it essential that you look for things beyond the construction when you plan to buy a property in Bangalore. You can change the paint, have the wardrobes and kitchen done to your fancy, but change the security may not be an option, especially when you plan to live in a gated community. So, give security a precedence. After all, you can’t keep changing or buying a home. It is a big decision and should involve proper research. Below are 5 security features you should check things you must check before buying property. When you intend to invest in a particular area you should plan visits and have a complete idea of the location. It should be a safe and secure neighborhood. You should check the past criminal record of the location and visit the nearest police station. This should be a part of your preliminary checklist of what to look for when buying a property. Once you are convinced about the location, you should keep a careful watch on the security guards during each of your visit to the site. On your preliminary visit with the developer, you may find the security perfect, but in the subsequent visits you can figure out if the security guards are truly fortifying your place. In addition, you must also check for the police verification of the guards deployed in the vicinity. If you find a security lapse at any given point, you must raise it and have the issue sorted. It must be a part of things to consider before buying land to build a home in a gated community. Whether you are buying a flat or villa or getting a plot constructed to ensure the quality of doors and windows. They should be solid and sturdy ones. If you are not sure and the developer refuses to budge, then look for other options. The doors and windows are the keys to your home security and you should not make any compromise on it. This is a must in your checklist when you construct a house too. 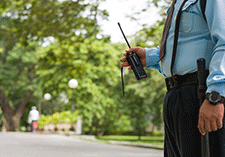 Security is not restricted to burglary and theft, especially when you are living in a gated community. 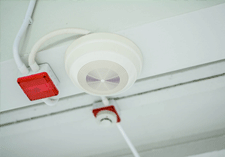 A functional and tested fire alarm is the key here. You should check the fire alarm and inquire if a fake test is done periodically. Check for these smoke detectors and nearest exit to your plot in case of a fire break out when buying land to build a new home. Making your own house is truly overwhelming and you may overlook the installation of a security system. But, even before you move into your house and make it your home look for security system and have it installed. 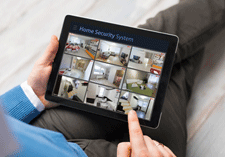 There are various wireless high-security systems available on the market today. Along with home interior and décor, you should keep a separate budget for your security, as well, especially when you purchase the best plot for your home. Consider these five security features and have them in your list to check what to look for when buying a property for investment. After all, security is of utmost concern and importance. 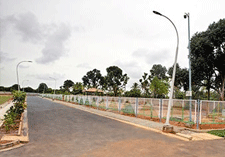 If you are looking for a plot in a gated community, it is evident that security with space is your criteria so that you and your family can live safely. If such is your requirement, then check Merusri projects here. 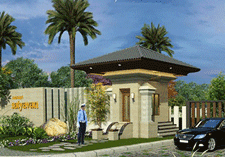 We have plot and villas in North Bangalore and give safety a precedence. Along with security guards, we offer CCTV surveillance in the entire premises and offer you live streaming facility. When it comes to security and transparency, there is nothing worth your trust, but Merusri Developers. Come, visit our project site and see the security for yourself to believe it.